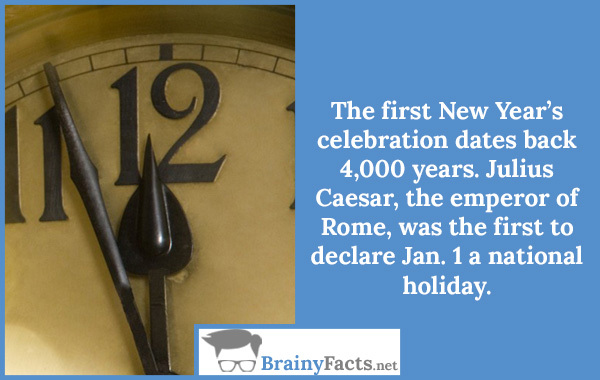 New Year Facts | Did you know ?! 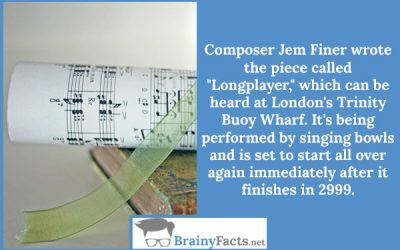 Composer Jem Finer wrote the piece called “Longplayer,” which can be heard at London’s Trinity Buoy Wharf (or over this live stream). 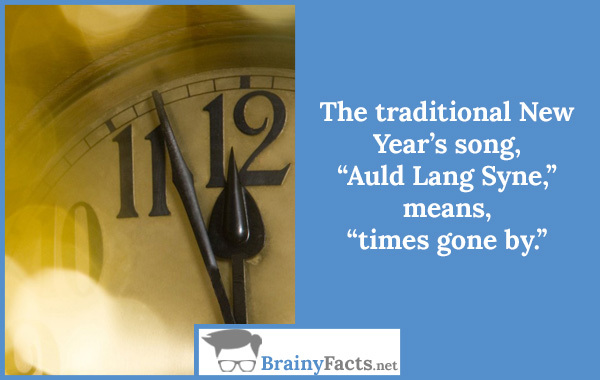 It’s being performed by singing bowls and is set to start all over again immediately after it finishes in 2999. 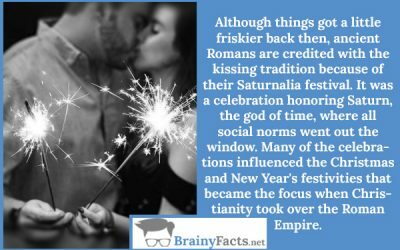 Although things got a little friskier back then, ancient Romans are credited with the kissing tradition because of their Saturnalia festival. It was a celebration honoring Saturn, the god of time, where all social norms went out the window. 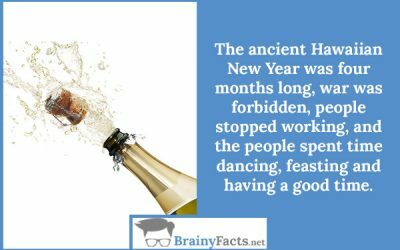 Many of the celebrations influenced the Christmas and New Year’s festivities that became the focus when Christianity took over the Roman Empire. Lobster and chicken are both considered bad luck foods. 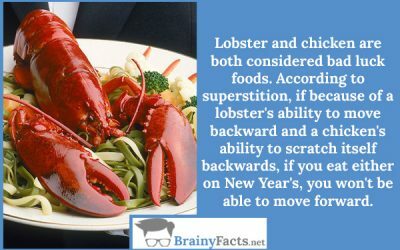 According to superstition, if because of a lobster’s ability to move backward and a chicken’s ability to scratch itself backwards, if you eat either on New Year’s, you won’t be able to move forward. Among Americans of German descent, jelly donuts have long been thought to bring good luck to those who eat them on New Year’s Eve. 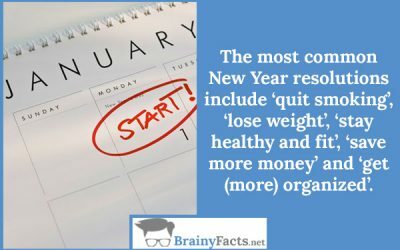 The most common New Year resolutions include ‘quit smoking’, ‘lose weight’, ‘stay healthy and fit’, ‘save more money’ and ‘get (more) organized’. 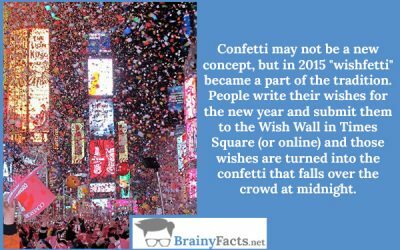 New Year celebrations are not new. 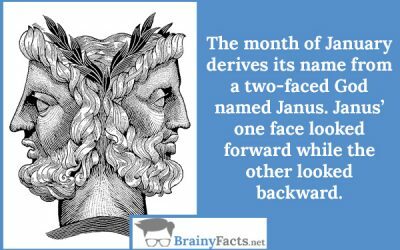 The concept actually dates back to 2000 BC. 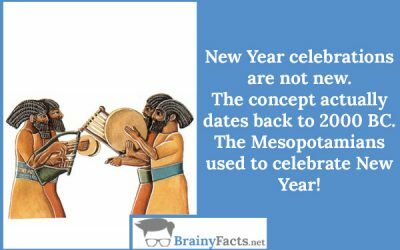 The Mesopotamians used to celebrate New Year!